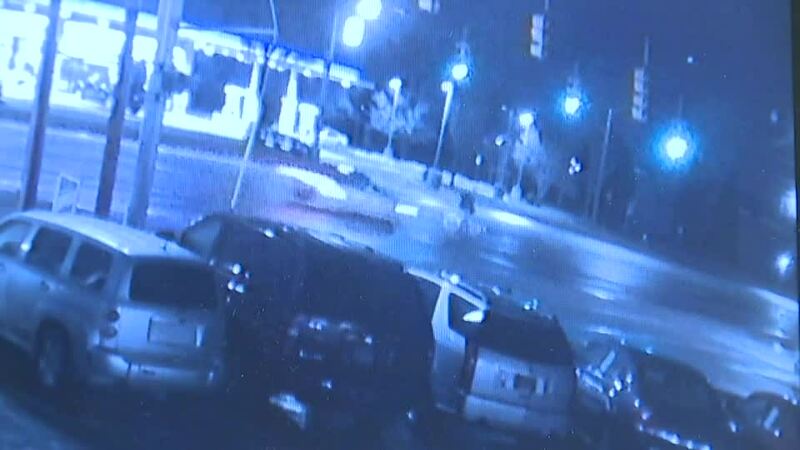 Warren police are searching for the vehicle and the suspect in a hit-and-run that killed a 60-year-old Eastpointe man on Sunday night. 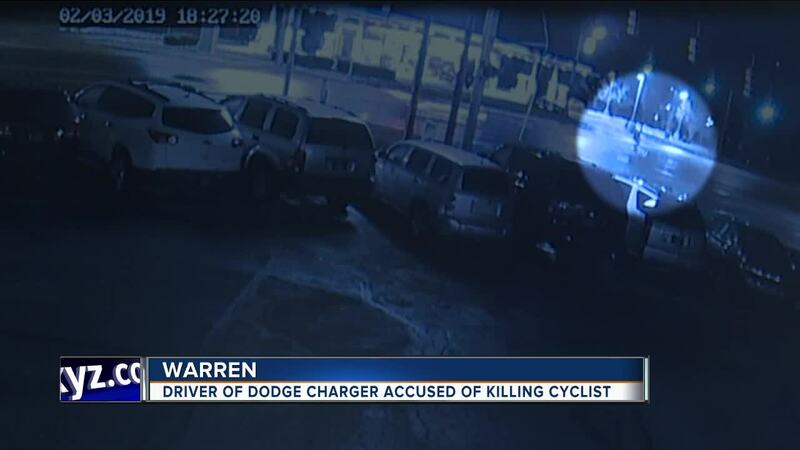 According to Warren Police Commissioner William Dwyer, it happened on northbound Groesbeck near 10 Mile at 6:60 p.m.
WARREN, Mich. (WXYZ) — Warren police are searching for the vehicle and the suspect in a hit-and-run that killed a 60-year-old Eastpointe man on Sunday night. According to Warren Police Commissioner William Dwyer, it happened on northbound Groesbeck near 10 Mile at 6:60 p.m.
“It’s clear that the vehicle was going at a high rate of speed,” said Warren Police Commissioner Bill Dwyer. Police say the suspect was driving a 2015-2017 Dodge Charger when the vehicle struck the man who was on a bicycle. Police say he was thrown 50 feet after the crash. The driver did have the green light but did not stop to check on the man that he had just hit. “If he would have stopped it certainly would have been something that wouldn’t have escalated to what it is now as far as the felony,” Dwyer said. Detectives were able to pull surveillance video from a nearby Tim Hortons at 11 Mile and Hayes minutes after the crash. The Dodge Charger, from model years 2015-2017, will have heavy front-end damage and also damage to either the passenger or driver's side window. The car also has a temporary plat on the back windshield. Surveillance video also shows the rear-seat passenger get out of the car. Something is also being thrown out of the moon roof before the car takes off. “We do know there’s a heavy amount of damage to the front end and also based on the preliminary investigation by the fatal squad, either the passenger's window or the driver's window was smashed out,” Dwyer said. Warren police are offering a $1,000 reward for any information that leads to the arrest of the suspect and the seizure of the vehicle. Anyone with information is asked to call 586-547-4700.